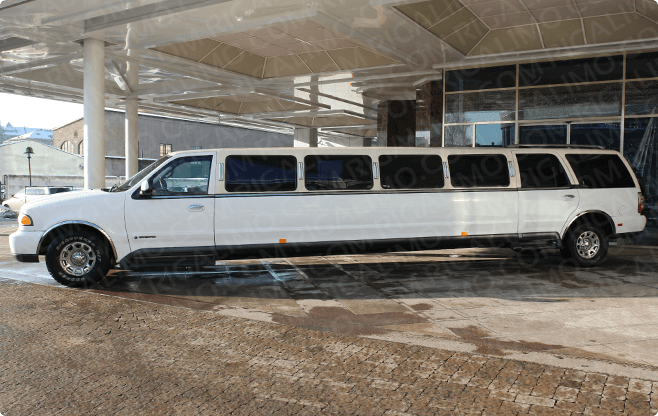 Seats up to 16 passengers, black and white leather interior, CD, DVD, MP3, USB, audio system, neons, laser lights, bar, privacy partition, tinted windows, air conditioning. 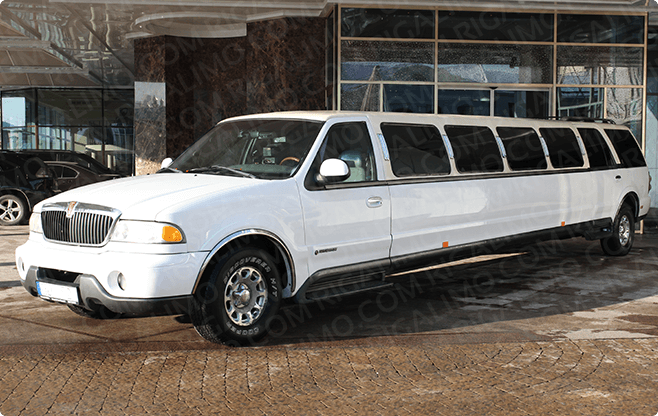 Let this spectacular white Lincoln Navigator Super Stretch limousine drive you and your friends to the wildest nightlife parties in Riga! If you have any questions, see FAQ or contact us via email info@rigalimo.com or phone +371 66118059 (24/7).